Promoting Innovation. Our labs reflect this philosophy. We are committed to Scientific Research and Promoting Innovation. Our Labs Reflect this Philosophy. The School of Sciences started functioning in 2016, with the challenge of imparting good quality theoretical and practical education in three science disciplines, namely, Biotechnology, Microbiology and Environment Science & Chemistry having Honors degree, M.Sc. Integrated Biotechnology, Microbiology and M.Sc. Biotechnology, Microbiology. Here in the School of Science, we discover and find out answers to most convincing questions, define new fields of study, and create solutions to global challenges. Moving seamlessly across disciplinary boundaries, we bring together the best of all fields in order to advance the cause of science. With exceptional leadership, a strong and growing faculty, and modern facilities,the curriculum in B.Sc. is structured to provide a common, broad-based foundation, passing on fundamental concepts and principles in Science through lectures, tutorials, discussions and presentations. 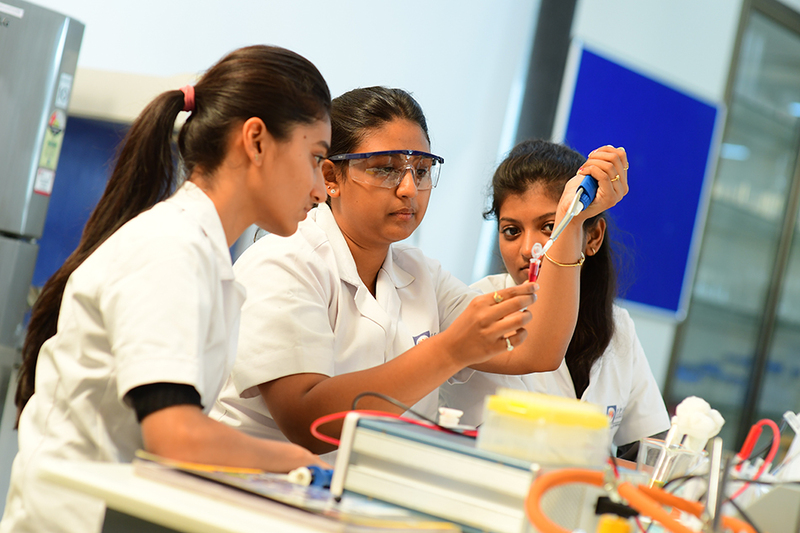 The curriculum has a significant practical component that trains students in experimental skills essential to Science. Student’s seminars and assignments are designed to be highly challenging, which paves way for the students to bring out their intellectual and interactive skills in analyzing scientific problems. Courses like critical thinking, academic writing, research methodology, entrepreneurship, creativity & innovation, skill enhancement and community service etc will be part of the curriculum for all science students in various streams. 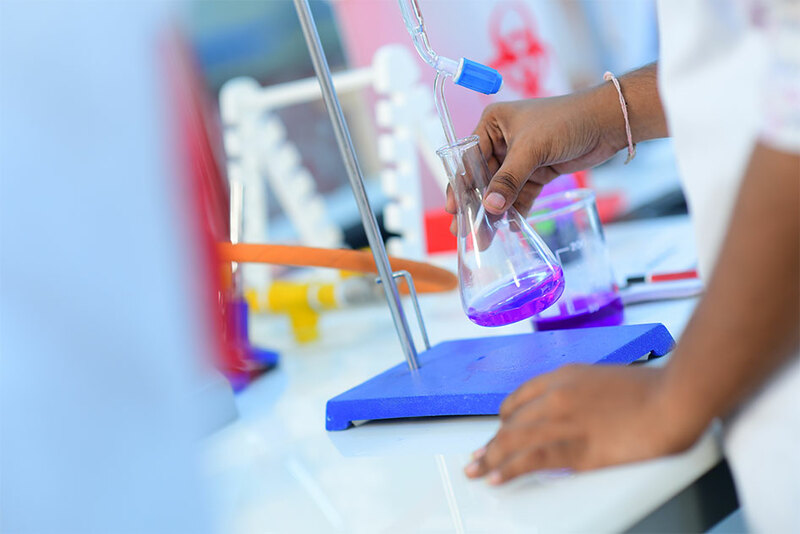 The School of Sciences offers multiple undergraduate programmes in emerging disciplines which are driven by cutting edge research and entail pathbreaking discoveries in the 21st century. These modern and highly specialised courses, once intensely assimilated open up opportunities across the world in leading institutes while making one appreciate his academic contribution in improving our physical selves as well as the health of our planet. To strive to become a centre of excellence in education and research in sciences providing training and practical exposure at various levels. To provide effective interdisciplinary learning ambience through extensive subject coverage in all fields of modern biology and inter-phasing with other scientific disciplines. To equip its students to keep pace with recent developments in the field of scientific research. To undertake high quality research activities in defined areas of biosciences so as to make an impact at national and international level. To strive to develop state of the art infrastructure comparable to best in the world. Research training in various reputed Biotechnology institutes and industries.